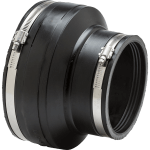 Flexible, rubber end caps with integrated hose bibb for capping Cast Iron or Plastic pipe ends. Directs water flow and drainage during and after testing. 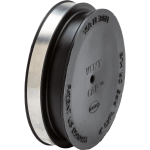 Eliminates filling DWV systems from roof vents. 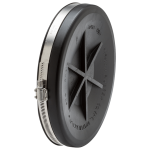 Needs no plastic disc or liner to resist dirt, water or ozone. Non-pressure, gravity flow applications only. Recommended for above ground installations. Easy to install and reuse. 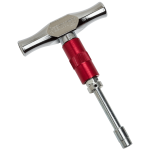 Hose Bibb: Brass Sillcock Valve, Inlet .5", Outlet .75"
RECOMMENDED TOOLS: Seekonk Torque Wrench - Pre-Set 60 in/lbs. 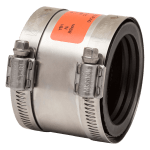 Increased band tension secures pipe end, forming a watertight seal. Axially tapered design distributes and dissipates internal stresses. 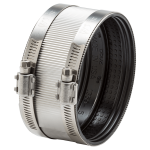 Strong, molded "ASTERISK" braces end cap against head pressure during testing. 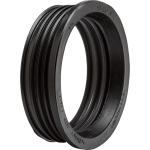 Synthetic rubbers permit considerable distortion withstanding tension and compression. More pliable, easier to install in cold weather applications than elastomeric PVC caps. 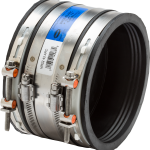 Tight-fitting internal cone wedges inside pipe, balancing outward strains against steel clamp. Sealing “O” Rings under clamp prevent pipe end slippage for a reinforced joint seal. Stainless steel components resist corrosion in a variety of environments. For permanent or temporary clean outs. 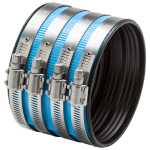 Independent clamp tightening adapts to different outside pipe diameters. 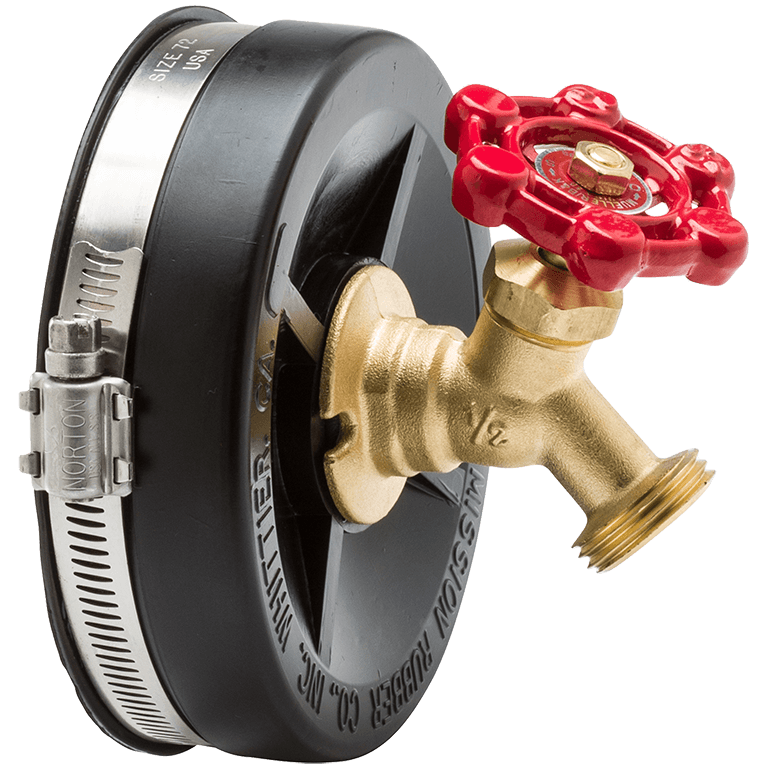 Brass hose bibb eliminates filling DWV systems from roof vent.